Developer Crescent Moon Games has announced plans to bring its procedurally-generated hack-and-slash RPG to mobile devices. There's a surprising shortage of action-based RPGs on the mobile marketplace, and that's a real shame. After all, hack-and-slash-type gameplay is something that doesn't rely on complicated control schemes or precision input, the two biggest things that don't usually translate well to mobile devices; instead, these types of titles usually build interesting experiences and entertaining combat through character leveling and power-up abilities, more often than not ones that are based on short cooldowns. In essence, action RPGs use all of the familiar tropes common in many other genres of mobile games and ignore some of the more complicated components found in PC and console gaming hits. Or, in other words, they're a perfect fit for handheld touchscreen devices. 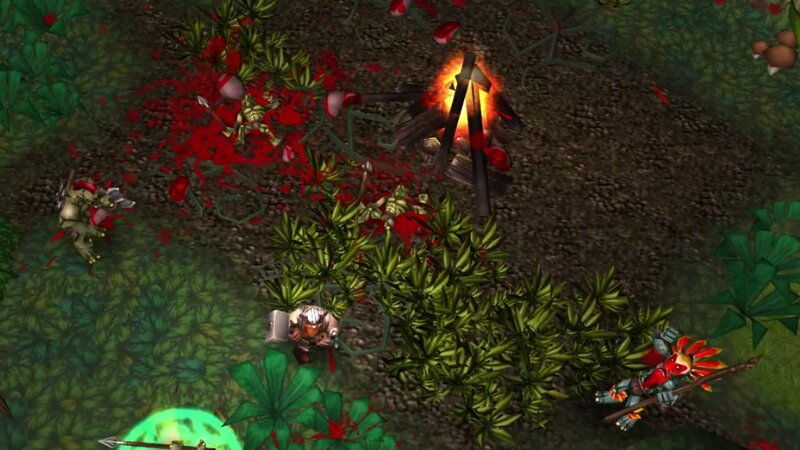 This may be why development studio Crescent Moon Games -- the studio solely ran by German developer Alexander Leps -- is aiming to bring its action RPG Runic Rampage to iOS and Android devices. Full of copious amounts of blood and gore, the likes of which can be seen in the above trailer, Runic Rampage follows the story of a dwarf known as Grimbard who seeks out fragments of an ancient and powerful rune in order to piece together the artifact and use its power to save his people. The game pits players against a number of different enemies across several different environment types, like deserts, caves, forests, and more. Even better, the game manages to keep its environments fresh by basing each level on procedural generation, and players will notice the music swelling and changing thanks to the game's adaptive music system. According to the Crescent Moon Games Twitter account, the company is aiming for a Fall release on both iOS and Android devices. While there's no specific word just yet on when Runic Rampage might land on Android, the studio has said that it's aiming for a November release of the game for both iOS devices and Apple TV. The game did launch on Steam back in May of this year, which wasn't too long ago, so it may be that a good deal of work is in order adapting the title to Android phones and tablets. When it does eventually land, though, it's sure to be a bloody, action-packed adventure. If you're trying to discover more great Android-based games, look no further than Modojo's list of the Best Android Games, where we've featured a number of both paid and free-to-play titles optimized for Google's mobile operating system.